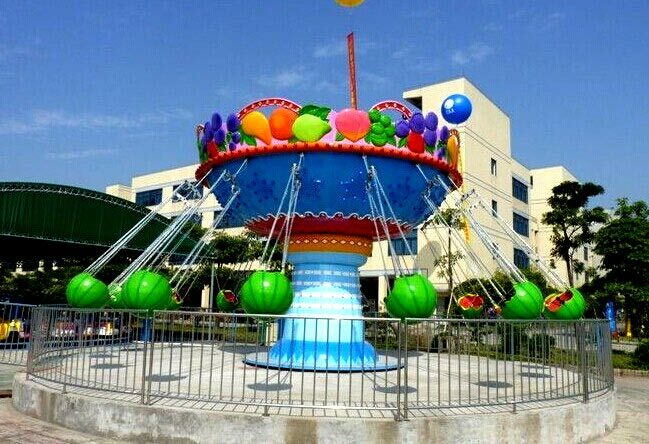 Fruit flying chair is a magic ride for children and families. The innovative candy modeling with watermelon seats build a flying dream paradise for children. When flying chair spinning, children as if into a fancy candy dream works, with wonderful music and cheers, gliding through the world of flying chair. It is always a best choice for kids to enjoy family fun. 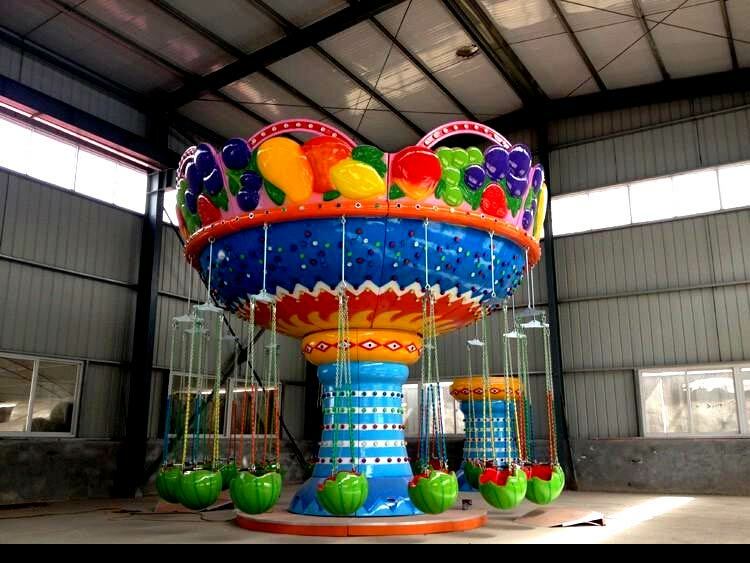 Fruit Flying Chair is SINORIDES Latest product. It has attractive appearance, bright painting color, and colorful LED lamps. 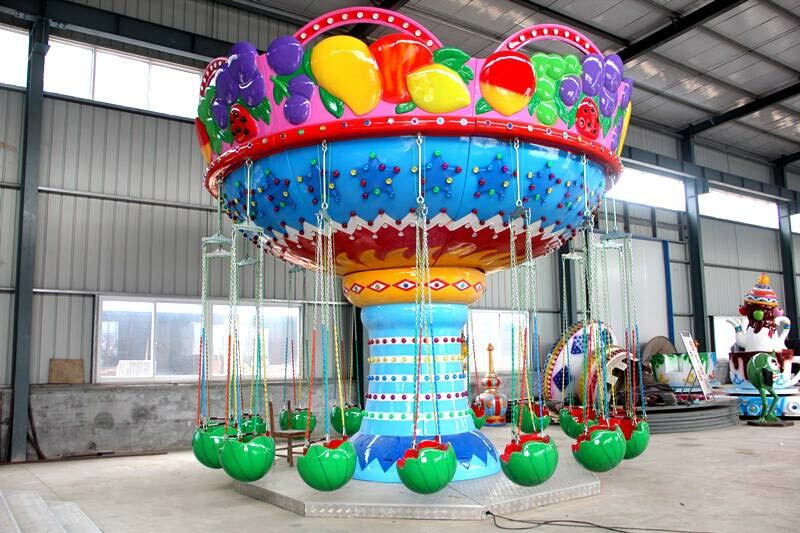 This Fruit Flying Chair rides is fit for outdoor park, playground, funfair, etc. It’s a kind of kiddie rides, and parents can play it with little kids together and enjoy family pleasure. Players will rotate at adjustable speed when this flying chair works. 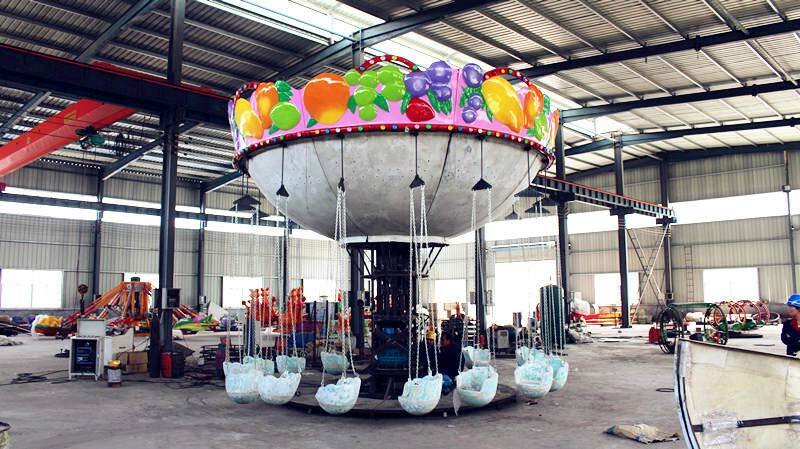 They will experience flying in the sky.SINORIDES Standard Product Compose for this rides is Flying Chair, Control Box. We can also provide Stainless-steel fence, Ticket Room according to your requirements.